Naval Brass is used extensively in marine construction due to its high corrosion resistance to seawater It is known for its good strength, good rigidity/hardness and resistance to wear, fatigue, galling and stress cracking. Also recognized for superior tensile strength, higher yield strength, good elongation, excellent thermal conductivity, good capacity for being cold worked, excellent capacity for being hot formed and excellent soldering and brazing. Our aluminum strip can be produced in standard dimensions or custom made to your requirements. We produce both imperial and metric units. 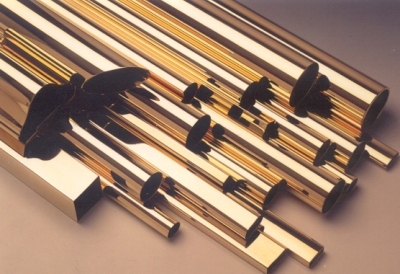 Global Metals provides a full range of naval brass products for almost any application. Our strip, coil, foil, bar, rod, pipe, plate, sheet, tube and other profiles are produced in a wide variety of alloys, including clad composites. They can be produced in standard dimensions or custom made to your requirements. Our naval brass products are manufactured in compliance with the main international specifications, and tighter tolerances are available upon request. We offer various platings and coatings, edge conditioning, special surface conditions, profiled strip, and multiple packaging options to meet our customers requirements. The following is a summary of our production capabilities. Manufactured in compliance with the main international specifications and standards including: ASTM, EN, and DIN. Our brass strip can also be manufactured to meet the requirements of other international standards, including: ASME, SAE, MIL, QQ, ISO, BS, and JIS.